In 1925 William Gordon was released from Peterhead Prison in Scotland. Unbeknownst to the authorities Gordon smuggled out a message from fellow prisoner, Oscar Slater. The message, written on waterproof paper and hidden under Gordon’s tongue, was a plea for help. It was to be delivered to none other than Sir Arthur Conan Doyle. 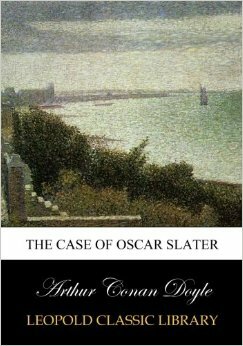 Conan Doyle first heard the name Oscar Slater years earlier. He became aware of the case when Slater was sentenced to death for the murder of Marion Gilchrist. The crime occurred on December 21, 1908 in Glasgow. Helen Lambie, the sole servant of the elderly Miss Marion Gilchrist, left her employer for a few minutes to get a newspaper. Shortly thereafter, Arthur Adams, who lived in the apartment directly below Miss Gilchrist said he and his sisters heard three knocks on the ceiling. Thinking that Miss Gilchrist wanted his assistance, Adams went to investigate. When he arrived at Miss Gilchrist’s door he rang the bell. Although no one came to the door he heard noises inside the apartment. He returned downstairs, but his sisters urged him to check on Miss Gilchrist one more time. He returned upstairs and was in front of the door when Helen Lambie returned from her errand. At about this time they glimpsed a man in the building’s hallway. However it didn’t strike either of them as unusual. Perhaps it was another tenant or a visitor. At any rate, Adams told Helen what had been going on and together they entered the apartment. To their horror they discovered that Miss Gilchrist had been bludgeoned to death. Her personal papers had been rifled and a diamond brooch was stolen. There was a public outcry against the brutal murder. The police and the public wanted the crime to be solved quickly and the murderer put behind bars. Within five days the police announced that they were looking for a suspect. His name was Oscar Slater. At first glance it did seem that the police had found their man. Slater lived near Miss Gilchrist. He was known to the police for running an illegal gambling operation. He recently pawned a diamond brooch. Even more damning was the fact that soon after the murder Slater left the country under an assumed name. Slater was discovered in America. Once he was made aware of the accusations against him Slater willingly returned. He was positive that he could prove his innocence. The brooch that he pawned did not match the description of Miss Gilchrist’s brooch. He also had witnesses who could testify as to his location at the time in question. The police were not swayed by Slater’s evidence. They were sure that he was the culprit. In addition to Slater’s criminal history was the fact that the police had witnesses. After some coaching by the authorities, these people, including Helen Lambie, were sure that they’d seen Slater leaving the scene of the murder. Also the police believed they found the murder weapon after a small hammer was found in Slater’s possession. The trial was held in 1909. Despite the conflicting evidence Oscar Slater was found guilty of the murder of Marion Gilchrist and sentenced to death. Slater’s lawyers started a petition that urged mercy. Two days before he was scheduled to die, Slater’s sentence was changed to imprisonment with hard labor for life. Slater’s lawyers also contacted Sir Arthur Conan Doyle. While Conan Doyle didn’t approve of Slater or his lifestyle it was clear that he was not the murderer of Marion Gilchrist. In 1912 Conan Doyle published The Case of Oscar Slater. It examined evidence brought forward at the trial and point by point proved that Slater was not the killer. 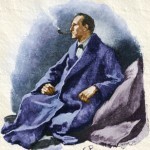 For example, Conan Doyle explained that Slater traveled under an assumed name because he was traveling with his mistress. He was trying to avoid detection by his wife, not the police. And while it was true that Slater did posses a small hammer it wasn’t large enough to inflict the type of wounds that Miss Gilchrist had sustained. Conan Doyle stated that a medical examiner at the crime scene declared that a large chair, dripping with blood, seemed to be the murder weapon. Conan Doyle also concluded that Miss Gilchrist had opened the door to her murderer herself. He surmised that she knew the murderer. Despite the fact that Miss Gilchrist and Oscar Slater lived near one another, they had never met. The Case of Oscar Slater caused some demand for a new trial. However the authorities said the evidence didn’t justify that the case be reopened. In 1914 there were more calls for a retrial. New evidence had come to light. Another witness was found that could verify Slater’s whereabouts during the time of the crime. Also, it was learned that before Helen Lambie named Slater as the man she’d seen in the hallway the day of the murder she had given the police another name. Unbelievably, the officials decided to let the matter rest. 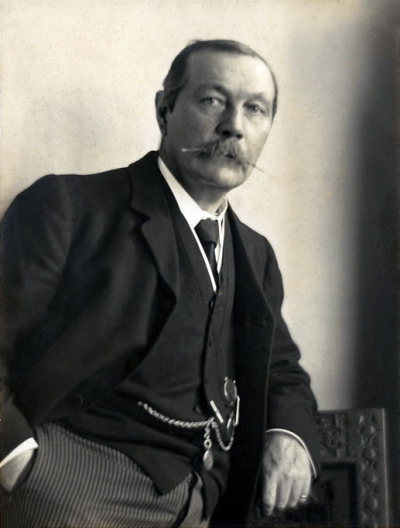 Throughout the years Conan Doyle raised the issue of the injustice against Oscar Slater. However he was not successful in his efforts. Then in 1925 he received the message smuggled out of Peterhead Prison. Oscar Slater didn’t offer any new revelations. There was no new evidence. It was just a note from a desperate man who wanted justice. He begged Conan Doyle not to forget him and to try one more time to free him. Conan Doyle could not ignore Slater’s heartfelt request. He fired off a fresh barrage of letters. He wrote to his influential friends, the press and to the secretary of state of Scotland. He made public appearances and began to gather other likeminded people to the cause. The movement slowly began to gather steam. The turning point was in 1927 when a book by Glasgow journalist, William Park, was published. The Truth About Oscar Slater reexamined the case. 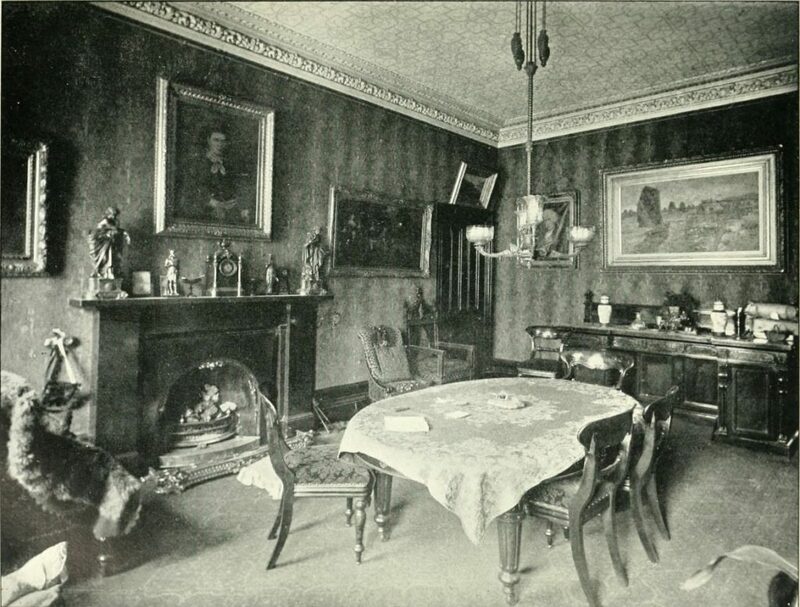 Park came to the same conclusion that Conan Doyle did years ago, Miss Gilchrist had likely known the murderer and had invited him into her home. Park speculated that Miss Gilchrist had argued with this person about a document that she possessed. During the argument she was pushed and hit her head. Her assailant was then forced to make a decision. What would be worse? To have Marion Gilchrist recover from her wounds and charge him with assault or to kill her and be done with the matter? He chose to kill her. Libel laws prevented Park from naming this person in the book, however he believed the murderer to be the victim’s nephew. The book caused a huge uproar. Newspapers were full of information about the case. Witness came forth to talk about the police coaching them into naming Slater as the man they’d seen around the building that fateful day. On November 8, 1927 the secretary of state for Scotland issued the following statement: “Oscar Slater has now completed more than eighteen and a half years of his life sentence, and I have felt justified in deciding to authorize his release on license as soon as suitable arrangements can be made.” Within a few days Oscar Slater was a free man. However the case was not totally a happy ending as far as Conan Doyle was concerned. Slater was released, not pardoned. As a result the case had to be reopened and retried. At that point Slater could apply for compensation from the government for the years of wrongful imprisonment. 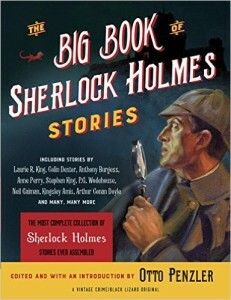 Conan Doyle and others gave money to Slater for his legal fees. In the end Slater was cleared of all charges and awarded £6,000 in compensation. Conan Doyle assumed that Slater would reimburse his supporters for his legal fees. After all, it was what Conan Doyle would have done. However Slater saw the matter in a different way. He thought it was ridiculous that he had to pay court costs at all and so he shouldn’t have to pay them back. You can purchase The Case of Oscar Slater at Amazon.com or read it for free At Project Gutenberg Australia.